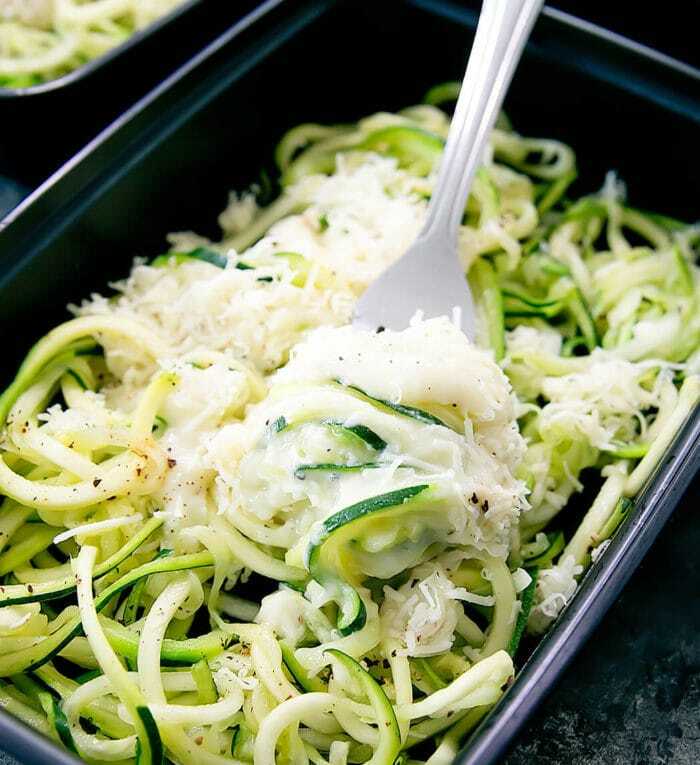 Zucchini noodles are tossed in a skinny and lightened up version of Alfredo sauce for an easy meal that can be made ahead of time for your weekly meal prep. I often make a skinny version of alfredo sauce when making fettucine alfredo because I find the traditional version to be a little too cheesy and heavy. This sauce is still creamy and cheesy but it’s also lighter and with less calories. It doesn’t use butter or heavy cream. Recently, I got decided to lighten it up even more by using zucchini noodles. No more post lunch food coma. I made these for lunch meal prep, which usually is a lighter meal for me. If you want something more filling, you can also add chicken to the pasta too. 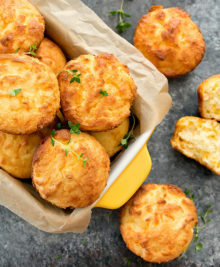 You can also garnish with more freshly grated cheese right before serving. 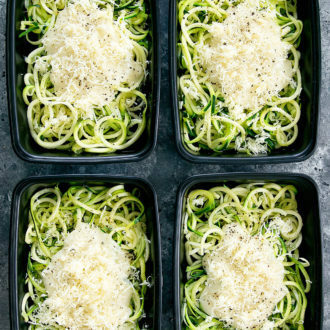 Zucchini noodles and a skinny version of Alfredo sauce are mixed together for a light and easy weekly meal prep. Add 1 tbsp olive oil to a large skillet and bring skillet to medium high heat. Add in zucchini noodles and cook until zucchini releases water and is just barely cooked. Zucchini should be tender but still crisp. Add zucchini noodles to a colander and shake several times over sink to drain out water released by zucchini. Set colander aside, allowing zucchini to cool and more water to drain out. In a saucepan, add remaining 1 tbsp of olive oil and garlic and bring to medium heat. Cook until garlic is lightly browned. 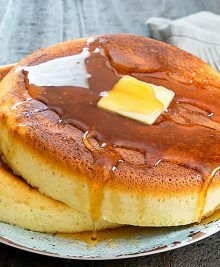 Add in flour, stirring constantly until a smooth paste forms. Add in chicken broth and stir until flour is completely dissolved into broth. Stir in milk. Bring sauce to a simmer and cook a few minutes until sauce thickens and is reduced by 1/3. Stir in cheese until completely melted and continue to cook until sauce has thickened to your desired consistency. Keep in mind that sauce will thicken even more as it cools. Add black pepper to taste. Pat zucchini noodles dry with paper towel. 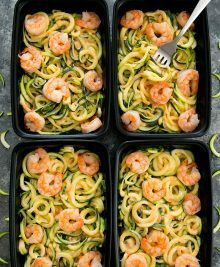 Add zucchini noodles to meal prep containers. If you own the meal prep containers with 2 or more compartments, I recommend using them for this recipe or store the sauce separately. Add your sauce to a separate compartment in the meal prep container. Store in fridge or freezer. When reheating, heat zucchini noodles and sauce in microwave. Pat dry zucchini noodles. Stir sauce until smooth. Add sauce to zucchini noodles and toss until evenly coated. Garnish with freshly grated parmesan cheese if desired. You can also reheat on the stove. 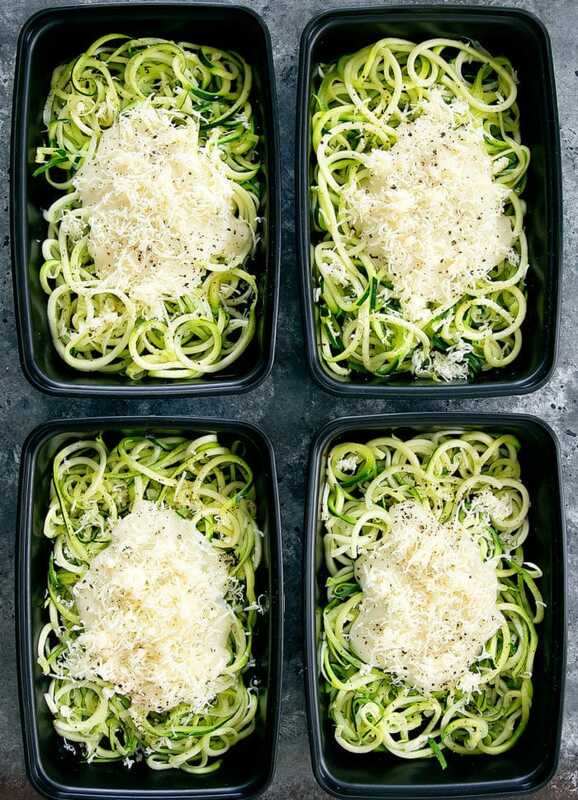 If you use the stove method, I recommend heating the zucchini noodles separately from the sauce because the zucchini noodles will release water each time they are reheated. 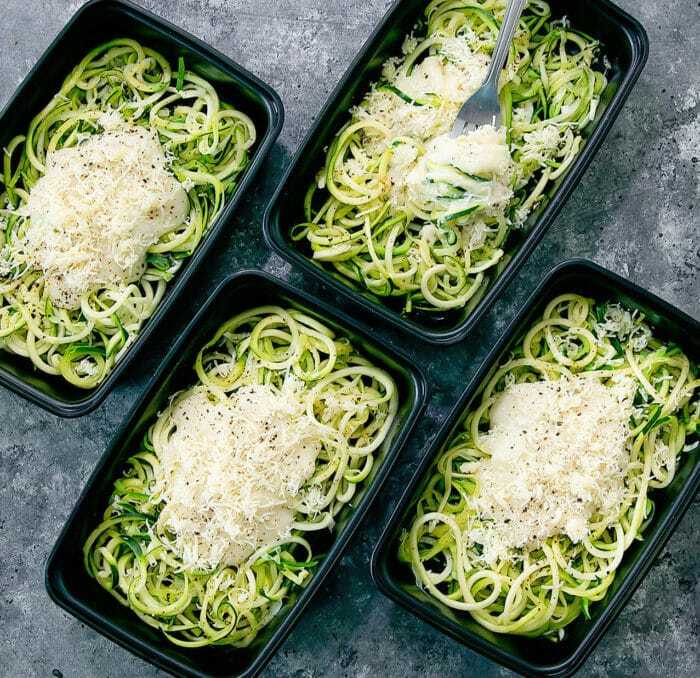 I use this spiralizer* and these meal prep containers*. 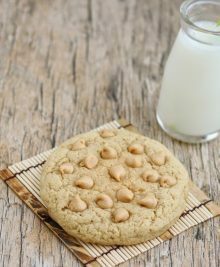 Nutrition estimate includes fat-free milk.